Posted on Thu, Jun 27, 2013 : 5:57 a.m.
Ann Arbor-based medical device company Tangent Medical Technologies announced Thursday morning it will now be accepting commercial orders for the company’s innovative NovaCath IV catheter. The University of Michigan spin-off will begin delivering on the commercial orders of the short peripheral catheter in the third quarter of the year, which begins July 1. The move to commercialization comes less than four years after the company’s founding. The NovaCath IV catheters have an innovative internal loop that the company says helps mitigate blood exposure risk for nurses. “We are excited about the opportunity to work with healthcare facilities in the evaluation and adoption of this new technology,” Tangent Medical CEO Jeff Williams said in a statement. The new technology is an improvement on the basic “IV” needle that is one of the most commonly used medical devices. The catheter’s major developments include an internal 180-degree fluid path turn and unique stabilization abilities. “"The last few products launched in this space were largely unsuccessful because clinicians questioned the benefits over existing products,” Curtis Bloch, vice president of sales and marketing, said in an email. 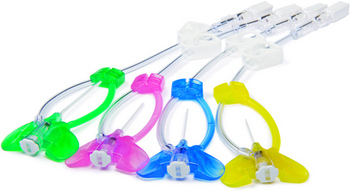 “NovaCath is an extreme makeover of IV catheters. We haven't seen a design change this radical in 50 years. Every once in a while, a product out-performs an entire segment and NovaCath is that disruptive." The new catheter was first developed in 2009 in the University of Michigan’s Medical Innovation Center. After licensing the technology from the university and raising a seed funding round, the company attracted Williams, a serial CEO who previously led Life Magnetics, Accuri Cytometers and HandyLab, to take the helm in late 2011. 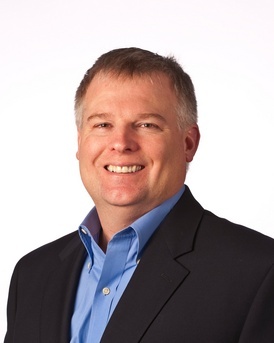 Tangent Medical Technologies CEO Jeff Williams. Tangent continued to grow throughout 2012, earning an AnnArbor.com Deals of the Year nomination, and closed the year with a bang by gaining Food and Drug Administration approval for its device in September and two months later attracted an $8.6 million round of funding. In December, the company was awarded a sweeping patent for its technology that helped it move toward commercialization. Since then, it has been distributing small orders for clinical evaluations in several healthcare facilities across the country. Tanget executives believe the company is well-positioned to enter the $1.3 billion IV market. The catheters are disposable and used on nearly all patients who spend a significant amount of time in a hospital or healthcare setting. Estimates of the market size range from 275,000,000 to 350,000,000 of the devices sold every year in America. Williams said in his statement the catheter system was developed to address both patient and clinician needs. The company claims its product reduces patient discomfort during IVs and is easier to for nurses and doctors to administer and use. “The anticipated launch of NovaCath has resulted in significant clinical interest and demand for the product,” he added. Tangent Medical is a private company and does not disclose revenue or order volume, but the company is optimistic it quickly will begin to take up market share in what is an extremely competitive medical device industry. “We believe that we have a product that is highly differentiated and can really make a difference,” Bloch said. Thu, Jun 27, 2013 : 8:02 p.m. Sounds like a great improvement. This discomfort is always a plus! I'll be interested to see who picks up the new product and how they like it. Thu, Jun 27, 2013 : 12:50 p.m.
With Jeff Williams on board it's only a matter of time before the cash-out. I'd look for an acquisition by Becton Dickinson.